I’ve always loved a well-appointed room that had a little edge or bit of surprise somewhere in the mix. Interior designers are so fascinating to me; their process and sources of inspiration are intriguing. Imagine my delight when my artist friend Steve McElroy, introduced me to a rockstar in the industry. I was absolutely giddy. Genuinely nice, generous with her time, and creator of some of the loveliest spaces I’ve seen…I am forever a fan and future client of this Dallas designing dynamo. Meet Jan Showers, President of Jan Showers & Associates, Inc. and Jan Showers Collection. She’s part small town Texas, part big city glamour, a little bit of European je ne sais quoi, and a whole lot of southern charm. 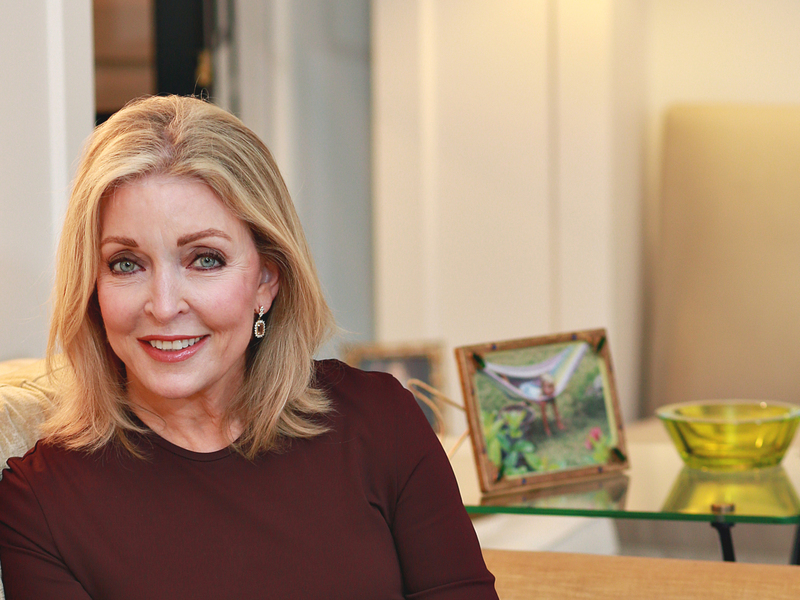 She’s authored two wildly popular books (Glamorous Rooms & Glamorous Retreats), created a furniture line to die for, and been named one of Architectural Digests’ AD100 (the preeminent directory to the international world of design). With all of this going on, she somehow manages to look as though she is sipping from a fountain of youth and pure liquid joy. Jan offers authentic insights into her designing soul via social media, “I adore Instagram! I love keeping up with other designers and friends and am always inspired each morning when I look at my feed. We try to post primarily design related images but I cannot resist posting my dogs from time to time.” In between client meetings, travel, and tossing up some fantastic images on Instagram that will tease all of your senses…Jan answered my Five Quick Questions and left me craving more. 1.What is the most creative thing about what you do? 2. When did you know that design was the right thing for you? 3. What is the biggest misconception about your industry or creative endeavor? 4. What is your greatest obstacle in trying to balance creativity and business? 5. What’s the next big CREATIVE thing for you or your business? Kravat is a fifth-generation family business that has become a global powerhouse in the design world. The line was inspired by trips to Paris and this new collection whispers of Couture; including fabrics, rugs, lighting, and wall coverings. Personally, I can’t wait to see the finished pieces. Jan’s career of three decades has given her a keen eye, a savvy business mind, and a playful spirit that shows through in everything she touches. Jan has designed a hand-knotted rug collection for Moattar, Inc., a lighting series for L.A. based designer Joe Cariati, and a cowhide rug collection for Kyle Bunting. If you haven’t already clicked through and absolutely fallen in love with Jan’s designs, what are you waiting for? This woman has literally designed every possible thing you might need or want to create a space that is elegant, practical, and a true reflection of the way you live. My next trip to Dallas will absolutely include a visit to her gorgeous showroom to see her newest creations…and to find out where she got those shoes. Kristie Hicks Crenshaw has written personality profiles, features, and articles on health, beauty, and the medical field. She has a Billboard Magazine Award from her time in morning radio, a Miss Kentucky Crown that she didn’t get on Ebay, and a penchant for playing charades with her husband, Brooks. Known to craft entire conversations out of 80’s song lyrics, she loves high tea, low light, and smooth Kentucky bourbon.